Join French Native Anne Arntson on this France Yoga and Mindfulness Vacation in a charming fortified Provencal demeure dating back to the 17th century. This is Anne's 4th retreat in Provence. Surrounded by vineyards, the bastide is a luxury eco bed & breakfast set in a private park of 3 hectares (6 acres), where the olive trees and centuries old oaks blend with the lavender and rosemary, creating a small paradise in which you will find a heated swimming pool, giant chess, tennis and petanque courts. Enjoy the perfect mix of practice, exploration and relaxation —with afternoons free to lounge about the pool, beautiful walks in the countryside, excursions to visit a few breathtaking Provence villages and vistas, and evenings with exquisite food & wine, family-style under the stars! Attendance is limited to 16, register early and save a spot with your deposit. Scroll down for all details and links. MORNINGS Enjoy coffee or tea and calm moments of meditation followed by a grounding, strengthening all level yoga practice on the beautiful outdoor yoga deck or the peaceful indoor yoga room. A nourishing breakfast gets you further ready for the day.... spend time poolside, read, swim, hike, or enjoy an excursion. Lunch will be provided for those staying at the Bastide. AFTERNOONS Explore the famed south of France, rich with history, medieval castles, beautiful countryside, towns alive with bistros, patissseries, amazing shopping opportunities. Or perhaps take a nap, a walk, write, daydream.....We gather again late afternoon for a renewing practice. EVENINGS in Provence are unlike anything else. The light is amazing, the cicadas are singing, it is warm and magical. We gather for a scrumptious outdoor meal, enjoying local fare and wines. Following diner, you are free to continue the evening with old and new friends under the stars, retreat to your room for a good read or an early night. This vacation is your time to take care of you. The house is situated only 30 minutes from the sea and the Côte d'Azur, with its hundreds of kilometers of white beaches, rocky capes and wild bays - it is considered the most beautiful coastline of France. Rooms are offered on a shared basis, though a limited number of single rooms may be accommodated. 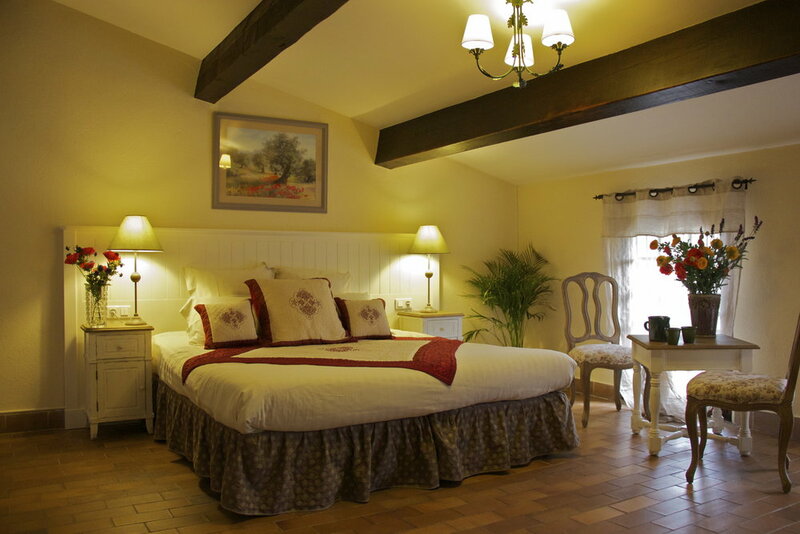 Each bedroom is exquisitely decorated with an en-suite bathroom. Hosted by the estate owners, you will experience the south of France at its finest. Sunday – 2:00 pm pick up at train station, welcome snack, settle at the Bastide, post-travel afternoon yoga. Aperitif and dinner under the stars. 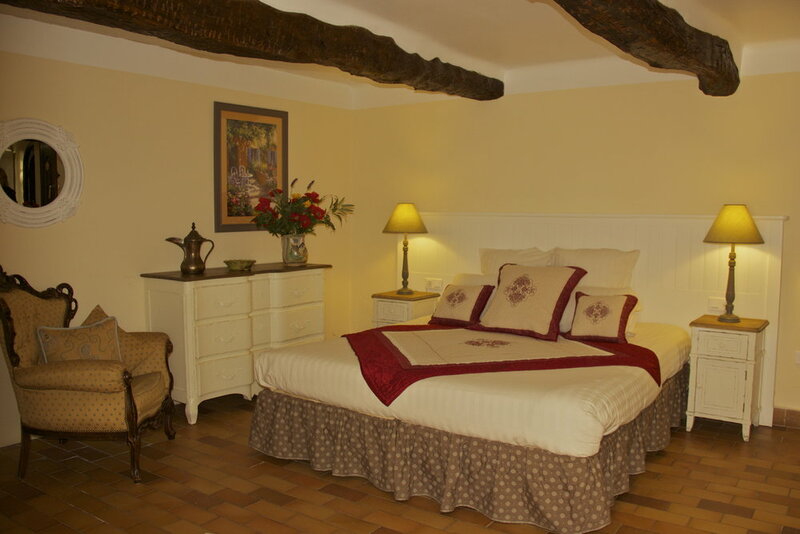 Monday – Spend the day at the Bastide. Swimming pool, tennis, walks through the vineyards close to the property, etc. Walk (2,5 km) to Besse sur Issole, the nearest village: it is very pretty, with a small lake and some nice spots. Lunch in a local restaurant. Afternoon Spa services for anyone interested, wine and cheese tasting. Dinner at the Bastide. Tuesday – Excursion to Cotignac, beautiful picturesque medieval village ( 20 min from the Bastide) where there is a very nice Provencal market. Lunch in Cotignac. Visit to the Thoronet Abbey. Dinner at the Bastide. Wednesday - Optional (85 euros): Excursion to the beautiful beaches of Cabasson and to the Fort Bregancon (about 50 minutes from the Bastide, can visit the fort ) white sand, pine trees, blue water. Dinner in Bormes les Mimosas. Those not traveling, enjoy a repeat of Monday's schedule. Thursday – Excursion to the Gorges du Verdon - the largest canyon in Europe, with its white rocks and emerald lakes - picnic and possibility to rent paddle boats/electrical boat for a wonderful time on the amazing green water. The tour of the Gorges touches some picturesque villages including Aups, charming village renowned for its blacks truffle market and St Marie les Mustiquieres This beautiful village is perched in the middle of two majestic rocky cliffs crossed by a mountain stream. Afternoon in Moustiers Sainte-Marie, one of the most beautiful village in Provence: many artisanal shops, small restaurants. Dinner at the Bastide. Friday – Optional (85 euros) Excursion to St Tropez or to the Porquerolles Island, or shopping in Aix en Provence..... dinner at the Bastide. *There are 9 guest rooms. All have en-suite bathrooms and feature a king bed or two single beds (there are also a few rooms that would accommodate up to 4 friends). Come alone, bring a friend, bring a mate. Note that they is a very limited number of single rooms. This is an amazing 6-night experience in one of the most beautiful locations in the world. The retreat is limited to 14 participants so book early to ensure your place. A minimum number of 10 is required to run the retreat. $500 non-refundable deposit will reserve your place. The balance of $1,795 for double (2,395 for single) due March 1, 2019. No refunds after March 1, 2019. We accepts payment by cash, check or bank transfer. Please do not hesitate to call us or email prior to booking with any questions you might have. Please CLICK HERE to review our full CANCELLATION POLICY. International Flight Note: For all international flights, we strongly encourage you to arrive at least a day early. This extra day(s) help with jet lag and making sure travel delays do not cause disruption to your retreat. Many participants elect to spend a few days in Paris or other locale to explore the beauty of France prior to heading south. The beautiful Bastide is located 50 minutes from Aix en Provence and a couple of kilometers from a small village called Besse sur Issole, in the eastern side of the Vars region. The full address and contact information are provided upon registration. Fly to Paris Charles de Gaulle Airport (CDG). Take the fast train (TGV) to arrive in Aix en Provence. We will offer free group transfers to and from Aix en Provence, around 2pm on arrival day. The villa is 2.5 km from the closest town so if you wish to come and go, you might consider a car. You can pick one up at the Aix en Provence train station. We we will provide you with driving instructions . We have used AutoEurope (tel:888-223-5555) in the past, as well as either Kemwel (tel: 800-678-0678) or AutoFrance (tel: 800-572-9655). You may want to compare their rates online. Sometimes AAA offers a discount. Insurance can be expensive when purchased with a car rental company. Do check with a trip insurance company, they do provide car rental insurance at much cheaper rates. In case you you don’t make the group transfer, we can arrange a private transfers for a fee (individual transfers are expensive from Aix en Provence to the Bastide, around 100 one way or 150 round trip euros in 2017 so we recommend you make every attempt to catch the group transfer). You do not need a visa for France if you American or from the EU. If you are joining us from another location, check to see if you need a visa to enter France. It is usually quite warm, even hot, in September, though as you know there are no guarantees when it comes to weather. t’s a good idea to check the weather forecast the week prior to arriving so you can pack appropriately. France’s currency is the Euro. Check with your financial institution on the most cost effective bank card and credit card, beware of cards that will tack on a fee for each purchase . Cash is necessary for excursions, wine and shopping. ATMs are as plentiful in France as they are in the US. There is Wi-Fi access throughout (a bit spotty at times, don’t plan on running your start-up remotely). Depending on your carrier, you will most likely be able to get cell service. If not, you can use Skype, Messenger or other. Tipping is not included in France, however it, always appreciated! If you would like to leave a tip for the Bastide staff, kindly do so in cash. Electrical outlets are standard European, type C and type F. Voltage is 230V. All rooms have hair dryers. The vast majority of devices will only need a plug adaptor, but some things might need a transformer. Check with manufacturer. You do not need to bring props with you; the Bastide provides mats, blocks, blankets, bolsters and belts.